So, at long last the vegetable plot has been de-weeded, the beans - what there was of them - have been discarded, the leaks - that had some horrible insect burrowing into them have been ditched, and the last courgette (calabacin) plant has been ripped up. 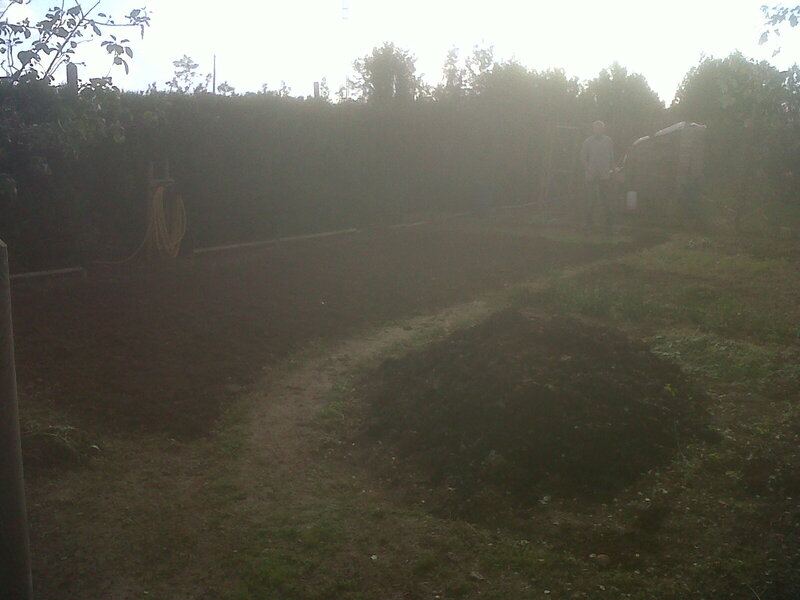 The plot has been manured, rotovated, watered (by the rain) and now raked. A new path is going through it over the next couple of days, so that we have easier access to the chicken coop with the wheel barrow. For the summer I have had to do some crazy manoeuvres to get the barrow into the coop so I can clean out the house, completely bonkers, but now I hope it will be less awkward. We have already been to the farm down the road (our neighbour) to pick up some new plants, lettuces (about 4 different types), cabbages, cauliflowers and brussels sprouts also some parsley and swiss chard (not sure what to do with that yet! need to analyse a cookery book). I am hoping we can get a good rotation going on the plot so we always have something ready to eat. 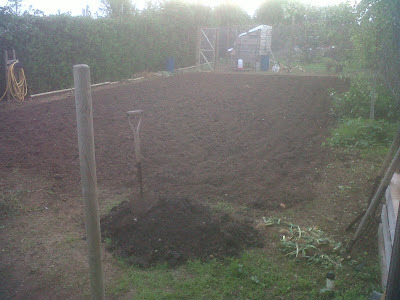 C will plant them all in during this week and then next month we'll pick up another lot and so on. Eventually I hope we'll have enough to keep us going through the winter months. The rotten leaks! such a shame, I was looking forward to leak & potato soup and ham and leak pie etc.. Never mind, there's always next year. 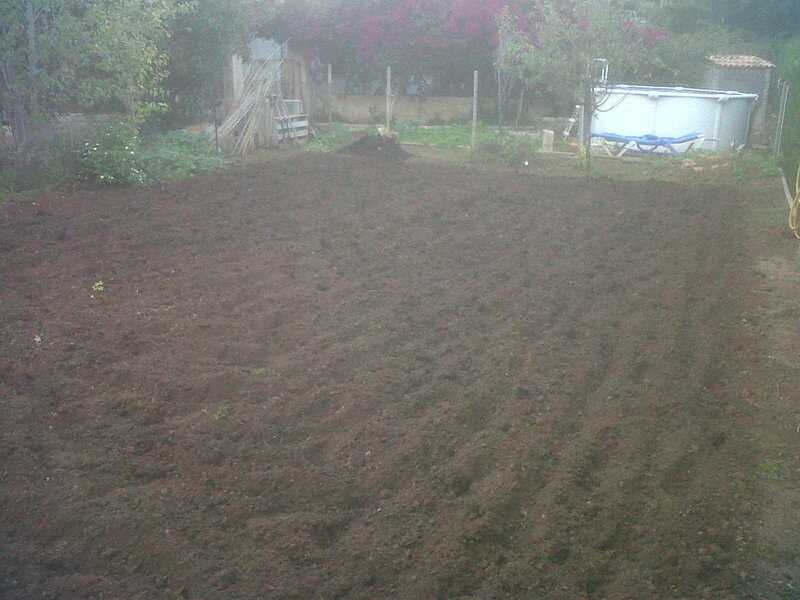 Below is C in the veggie plot, with only half of it done so far, it's not a good picture as my camera has broken and my phone is awful for taking pictures, but it kind of gives you an idea. The mound in the foreground is what they call 'abono' here in Mallorca. To us it's poop! or manure if you want to be correct about it. We didn't give the earth any nutrients last time and this is probably why our crops did so badly, that and the fact that it was darn hot this summer. 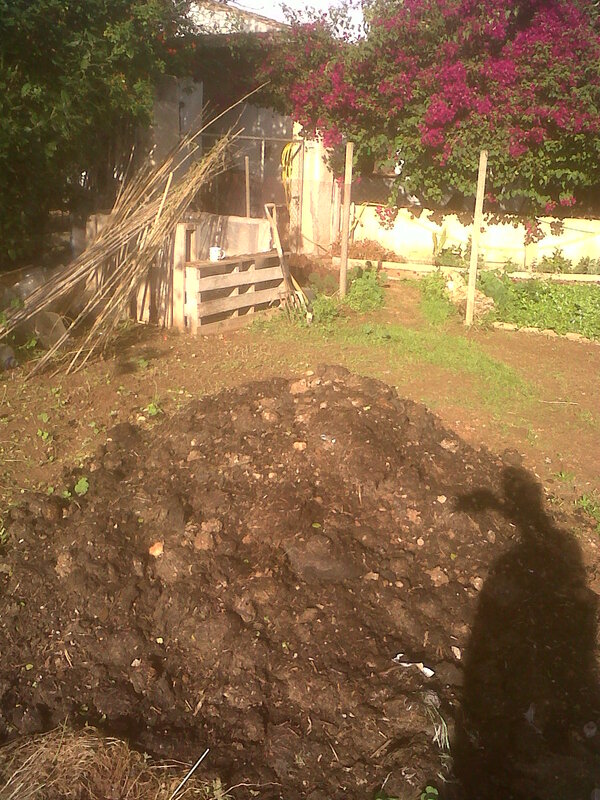 The poop pile and looking towards the compost box and the house. The plot all wonderfully manured and awaiting a good rain and rake in. 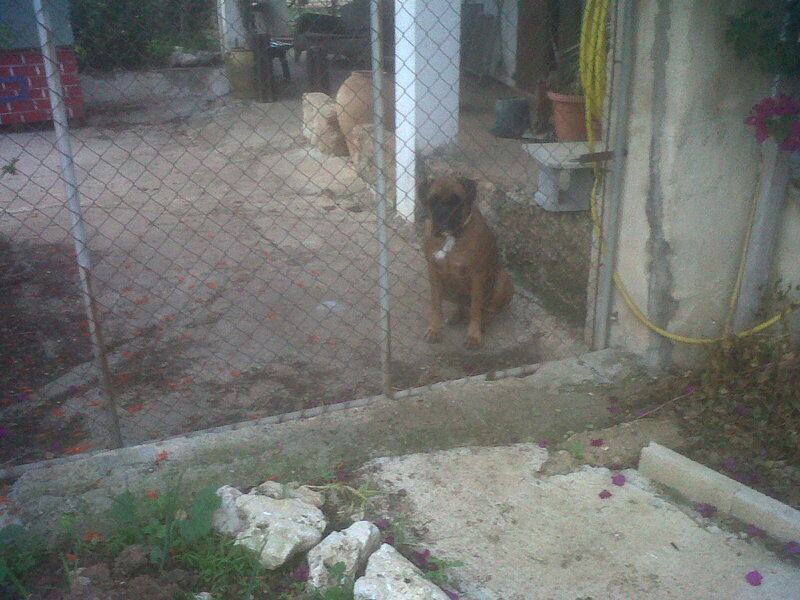 Ruffa looking at the chickens that had a lovely peck about the plot for an afternoon. That certainly won't happen once the new seedlings are in position! 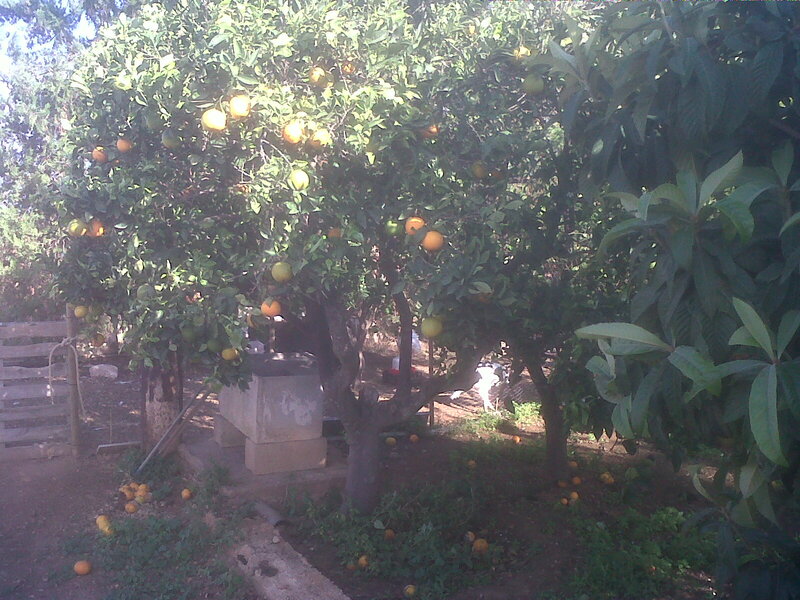 Below, the orange trees are in full swing getting themselves ready for November/December. I'm hoping C will be making many jars of marmalade, yummy.